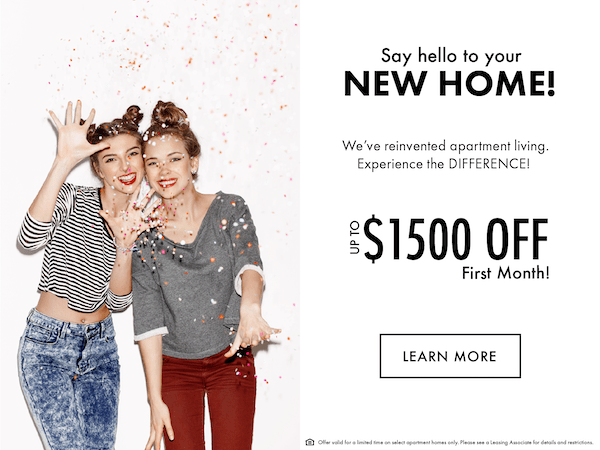 UP TO $1500 OFF MOVE-IN! We're offering up to $1500 off your first full month of rent. Offer valid for a limited time on select 2-bedroom apartment homes only. For details and restrictions, please speak to a Leasing Associate.